KENTUCKY DERBY! You Won't Miss a Thing! The Derby will be live streamed on the jumbo screen during the Reception! You'll come? You'll see? You'll drink magnificent wines with wonderful friends! As you make your way from one enchanting city to the next, the breathtaking sights, ancient cultures, and sensory delights of these romantic regions will fill your heart. Of course, all along the way, you'll be toasting the "Land of Love" with elegant Allegrini wines. INSIDER'S INFO: (2) $750.00 Airfare Voucher to Italy is provided by Mary Wade. Local ground transportation are not included. Your trip must be scheduled for mutually agreeable dates, trip expires May 1, 2020. Accommodations in Verona will be at the Villa Della Torre Estate or in the beautiful Villa della torre in citta' guest apartment in the Verona city center, according to your preference. Visits to Sassicaia, Ornellaia, Guado al Tasso and Ca' Marcanda are subject to availability. 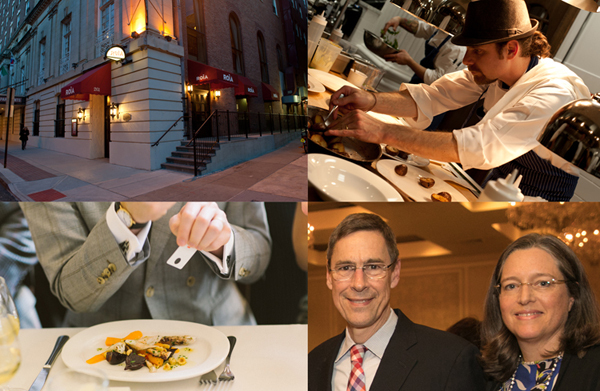 FOR SIX WITH THOMAS & SARA MATTHEWS @ROIA RESTAURANT! Thomas and Sara Matthews open their private wine collection for 6 lucky guest. The wine is paired with an exquisite menu prepared by Chef Avi Szapiro of Roia! Enjoy an evening of amazing conversation, hand-picked wines by Thomas Matthews and a night you will be sure to remember! "The cuisine at Roia has currents running through both the Italian and French traditions, creating a unique experience. The confluence of nature's seasonal bounty and the craft of local farmers and fishermen is the inspiration for our menu." "Excellent" quotes the New York Times. LIVE AUCTION #3 - TENNIS, ANYONE? Dazzle them on the courts or anywhere with this 1 ct TDW Diamond Tennis Bracelet solid 14 ct yellow gold. It features a push clasp and safety. Size: 7 inches. Did you know the term "tennis bracelet" originated after Chris Evert, arguably one of the most stylist tennis players on the professional circuit, lost a diamond bracelet during a match in the 1987 US Open. Evert asked officials to postpone her match until the bracelet had been found-all while viewers watched her televised search for the expensive bracelet. The accident sparked the desire for new diamond bracelets, causing a craze for what became affectionately known as "the tennis bracelet." Evert was certainly not the first to wear, or inspire others to wear, a flexible band of diamonds and gold around the wrist. In the 1920s, men and women were often found wearing lightweight "eternity bracelets," which would look to us today like the tennis bracelet. LIVE AUCTION #4 - PACK YOUR BEST HAT AND BET ON YOUR FAVORITE HORSE! Enjoy 4 days/3 nights in Louisville in this 2nd floor, 2 bedroom condo. It sleeps up to 5 and features a balcony overlooking a beautiful nature preserve. 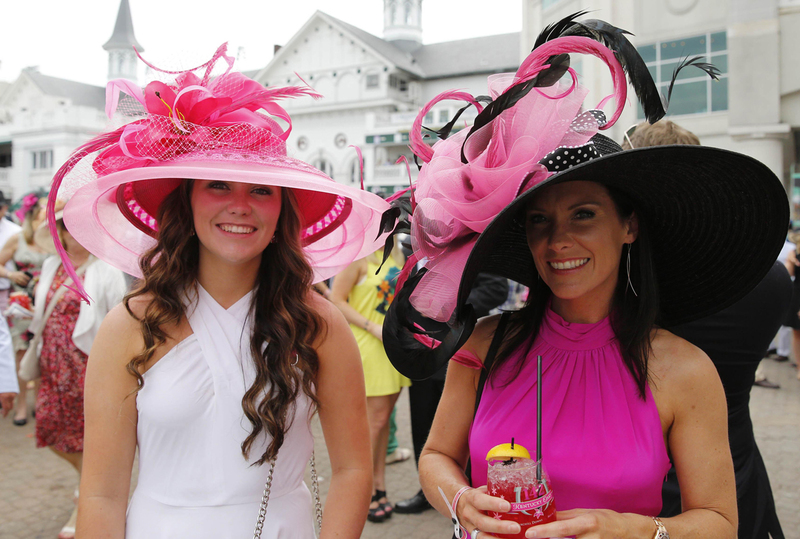 Join the festivities leading up to the 2020 Kentucky Derby on May 2, 2020. 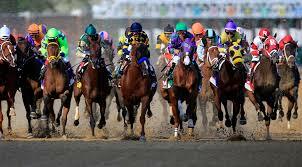 The Kentucky Derby is America's most extravagant springtime sports party and it is the longest running sports event in the U.S. While there is a horse race at the heart of this spectacle, there are many other exciting events associated with this American tradition. It is a festival and a fashion show, it's about horses, Mint Juleps, and riverboats, and it is about time you take part. It is the chance of a lifetime and you do not want to miss this! Located just minutes from the airport and from Churchill downs, you'll never feel rushed. You'll have easy access to downtown Louisville and the historic Ohio River waterfront. This condo is also just a short distance from major attractions like the Louisville Zoo, the Mega Cavern Caves, and the Kentucky Kingdom theme park. Discover Louisville's 1,200 acres of Olmsted Parks and Parkways, a system of parks connected to tree-lined parkways, the ultimate park system of Frederick Law Olmstead's career designing outdoor spaces, like Central Park in New York City. Then enjoy one-of-a-kind attractions like the legendary C21c Museum, Louisville Slugger Museum & Factory, Speed Art Museum, the Muhammad Ali Center and the Belle of Louisville Riverboat. INSIDER'S INFO: Offer expires May 10, 2020. Some black-out dates apply. Transportation not included.